E.S. 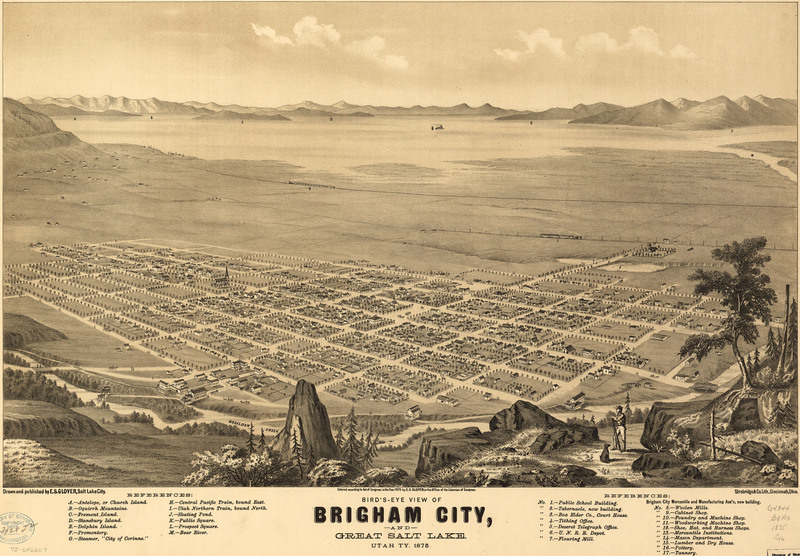 Glover's birdseye map of Brigham City, Utah in 1875. This map isn't part of any series, but we have other maps of Utah that you might want to check out. My boy Glover, whose work is occasionally dodgy and occasionally brilliant, hits one out of the park, compositionally, with this map of Brigham City, Utah [gmap] from the vantage point of the Wellsville Mountains. The decision to feature the salt flat [now a bird refuge] was no doubt partially owed to the local topography – I'm sure that as a birdseye map illustrator one takes advantage of whatever mountains one has. This site happened to have good mountains on one side, and not much on the other. But to take it to this extent?! To give it the upper two-thirds! That's crazy, and I bet the mayor didn't like it one bit. (Either that or the mayor was a highly-cultured epicurean with great taste, loved it, and would resent my assumption that he was some desert-hobo-philistine). Either way, I think it worked out great. 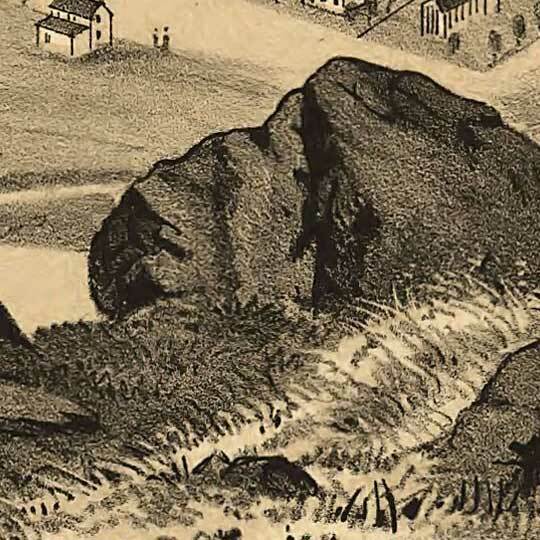 For more maps and images from this period in the region's history, visit Utah State History. Great map! Thank you for posting. No problem. Glad you like it.